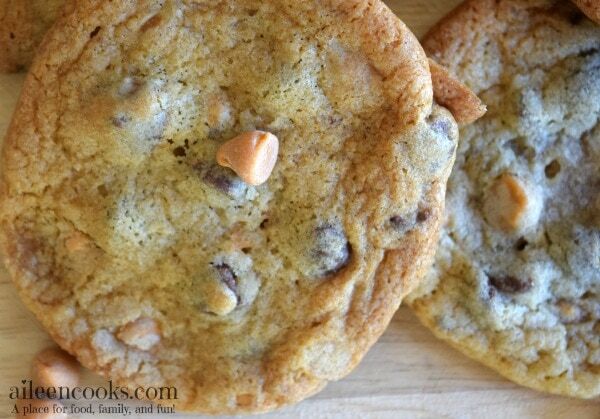 Chocolate butterscotch cookies are light and chewy with that distinct brown sugar-butter flavor. These cookies take your standard chocolate chip cookie and kick it up a notch (or two). 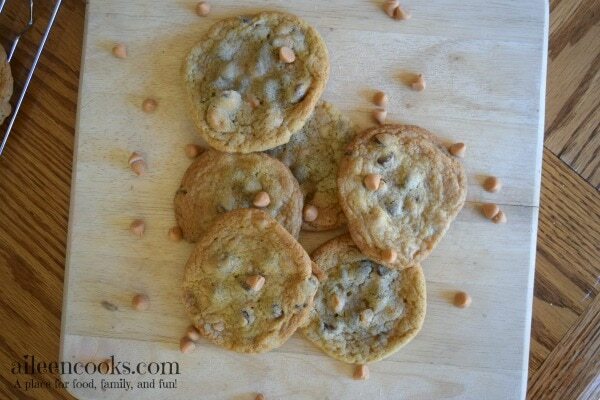 I use both butterscotch chips and chocolate chips in this recipe. 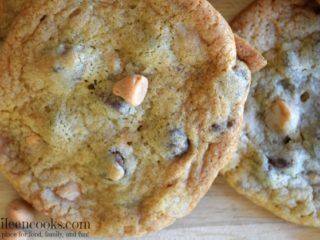 Chocolate butterscotch cookies come out nice and thin and chewy – my favorite way to eat a cookie. I made these cookies with my kids when their kindness elves had them bake cookies for their cousins. This was their first time tasting butterscotch and they LOVED IT! 🙂 We also made s’mores blossom cookies on that day and hazelnut snowball cookies. It was a lot of fun. 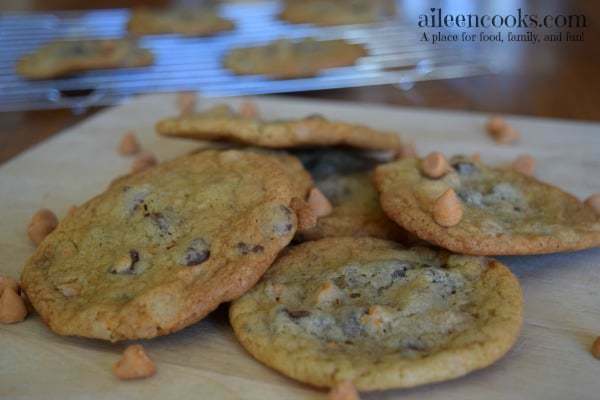 This recipes for chocolate butterscotch cookies yields a lot of cookies (3 dozen) and is a great recipe for freezing cookie dough so you can always have fresh baked cookies on hand. Buttery and chewy cookies filled with butterscotch and chocolate chips. Preheat oven to 375 degrees. Grease a cookie sheet and set aside. In a large bowl (by hand or with a mixer), cream together the butter, granulated sugar, and brown sugar. Add in the vanilla and eggs - mixing after each addition. Fold in the chocolate chips and butterscotch chips. Scoop heaping tablespoons of cookie dough on to your greased cookie sheet, spacing them 2 inches apart.